Mixed recycling? Renewable energy? Carbon emissions? Food waste? 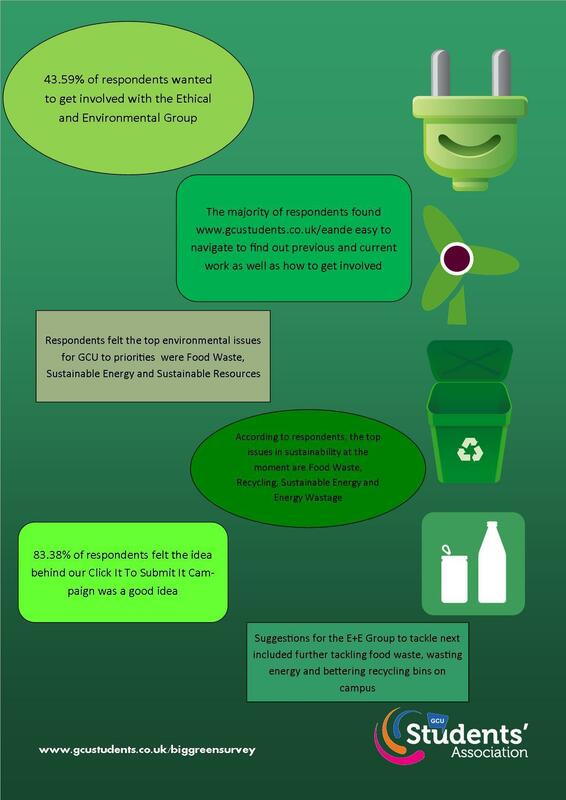 Our Ethical and Environmental campaign asked GCU students between January and February about what sustainability issues matter to them and what they feel the campaign should be working on within our campus and the wider community.